Wall-E is the latest CGI animated movie from Disney Pixar. It features a cute little robot who was built to clean the Earth but who is going to learn what he was meant for! 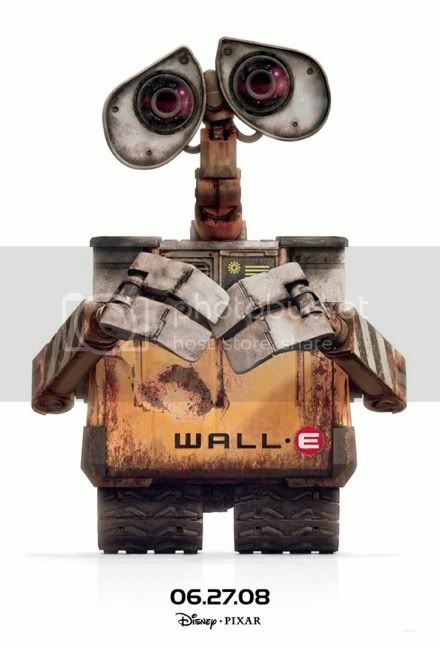 Wall-E, alone on Earth since quite a long time, has become a compulsive collector! Wall-E buries himself into the ground to survive to the firing thrusters of Eve's spaceship which is landing. Wall-E gets some make up on his face. Moe, a cute Chinese-looking cleaning mini robot, wants to take the dirt out of Wall-E's body. A naughty mini-robot tricks Wall-E and sends him for destruction outside the spaceship. But a desperate Eve tries to come at his rescue! There is no denying that love is in the air!